Ready to jet off on a luxury vacation? Now is the time, says Time. Luxury cruises offer every extravagance for the well-to-do traveler. “From indulgent menus to in-suite spa treatments, you can look forward to a few days of pampering as you enjoy privileged access to some of the world’s most exotic locales and historic venues,” writes Sabah Karimi. 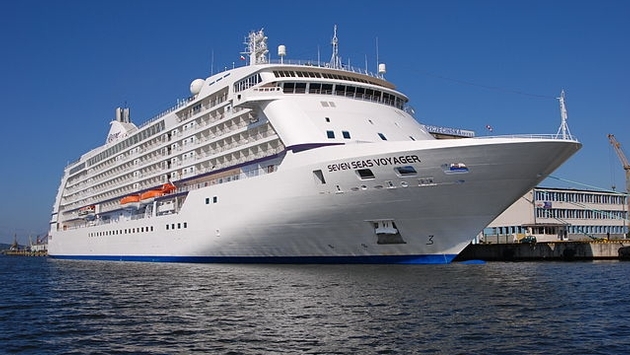 Start onboard Regent Seven Seas, which is said to have the world’s most luxurious cruise ship ever built. “The 10-night Caribbean Dawn Cruise in the Regent Suite costs $102,798 and includes perks such as free Canyon Ranch SpaClub services, Guerlain amenities and a welcome bottle of Veuve Clicquot. The two-bedroom, 3,026-square-foot suite affords guests access to a Steinway Grand Maroque piano and king-size bed, along with unlimited spa treatments,” says Karimi. Sail to Tahiti with Windstar. “Bora Bora, Huahine and Fakarava are a few of the destinations on this 10-day cruise, so you’ll get to explore the UNESCO Biosphere Reserve and sail through the Society Islands,” writes Karimi. READ MORE: What Are The Hottest Trends in Luxury Travel? Experience an epic cruise from Mediterranean to the Middle East with Seabourn. “You can spend time at the casino, The Club or in the pool and whirlpools on deck when you’re not enjoying shore excursions. Seabourn also offers gourmet dining experiences with menu items developed by Michelin-starred chef, Thomas Keller, open bars throughout the ship and complimentary welcome champagne,” says Karimi. 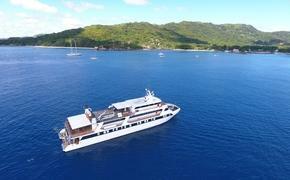 Looking for more luxury on the high seas? Read on here.